Lately we have been catching up on how our graduates are going and are hearing some great reports! Here is another one! 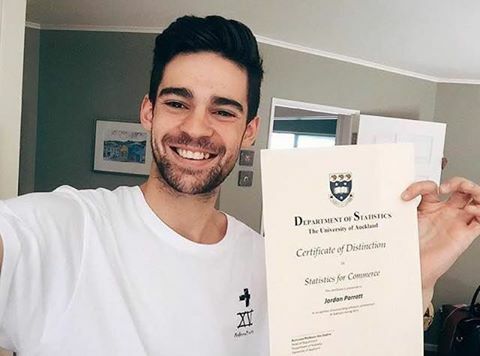 Jordan Parratt received a Certificate of Distinction for Statistics in Commerce, from The University of Auckland. Well done Jordan!